Brief Synopsis – Story of a collegiate debate team as they try to win their division and get to argue at the Supreme Court. My Take on it – This is a film that I recall seeing numerous times on cable back when I was a teen and I always enjoyed it. In the late 80’s Kirk Cameron was well known for his portrayal of Mike Seaver on the hit TV show Growing Pains, this was one of his first forays into the film industry where it was strange listening to him swear a bit and deal with much more intense and adult issues. Beside Cameron, this film features other up and coming actors Jami Gertz, Amanda Petersen and Tim Quill. They all do a nice job despite the fact that the flow of the movie is basically a typical 80’s movie. Roy Scheider is great as their debate teacher and mentor. Fortunately, this film gets an added upgrade because of the great debate scenes featured which are all very lively and engaging. They definitely touch upon many interesting political issues that range from abortion to public executions. This is a fun film to watch no matter where you stand on the political spectrum despite not being perfect. Bottom Line – Typical 80’s kind of storyline/plot is upgraded due to some amazing debate scenes where the dialogue is crisp and superb. 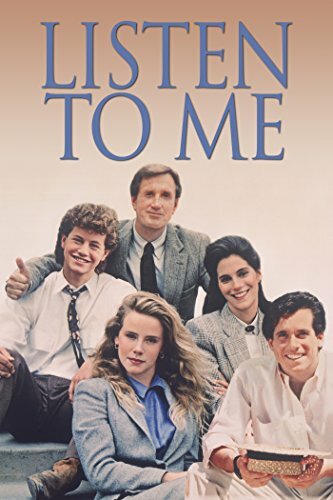 The cast is also typical 80’s with Cameron, Peterson, Quill and Gertz great as the “kids” and Scheider in the mentor role. Cameron’s accent is a bit annoying, but thankfully he can’t maintain it in every scene. Fun watch no matter where you are on the political spectrum. Recommended!